(April 9, 2018) -- A new study by Althea Campuzano, Ph.D. a student at The University of Texas at San Antonio, and Floyd Wormley, Jr., Professor of Biology and Senior Associate Dean for Research and Graduate Studies, sheds light on little-known fungal infections caused by the fungus Cryptococcus. There are currently no vaccines available for any fungal infection, which can be extremely deadly to patients under treatment for diseases like HIV, AIDS and cancer. Campuzano and Wormley suggest that more research is needed to develop an effective solution to these infections. However, a person whose immune system is weakened by illness could face serious complications from being infected by Cryptococcus because the immune system is less able to respond appropriately to the infection when it’s weakened. As a result, the body’s innate cells, which normally destroy pathogens, allow the fungal infection to spread to the brain, which can lead to meningitis. “Most people who are infected with fungal meningitis find they have a stiff neck or a headache. The danger is that if it’s left untreated, they could be dead within weeks,” Wormley said. People undergoing treatments that could weaken their immune systems are most susceptible to fungal infections. Patients about to undergo organ transplants, for example, take medication to suppress their immune systems to keep their bodies from rejecting the new organ. AIDS, HIV and cancer patients also experience weakened immunity as a result of the illness or their treatments. In their study, Wormley and Campuzano highlight all current knowledge of the receptors on innate cells, which are responsible for recognizing fungal pathogens and present an argument for more research in the effort of a vaccine or immunotherapy treatment for Cryptococcus. Campuzano is working toward that goal by taking a closer look at CARD9, a protein that regulates receptors on innate cells. She and Wormley are interested in how CARD9 regulates the ability of the body to recognize fungi and whether they could manipulate it to trigger an immune response. 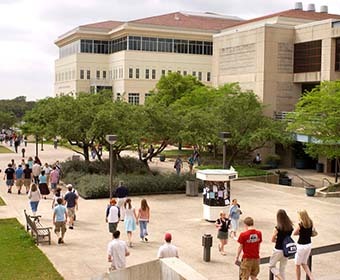 Learn more about the UTSA South Texas Center for Emerging Infectious Diseases.